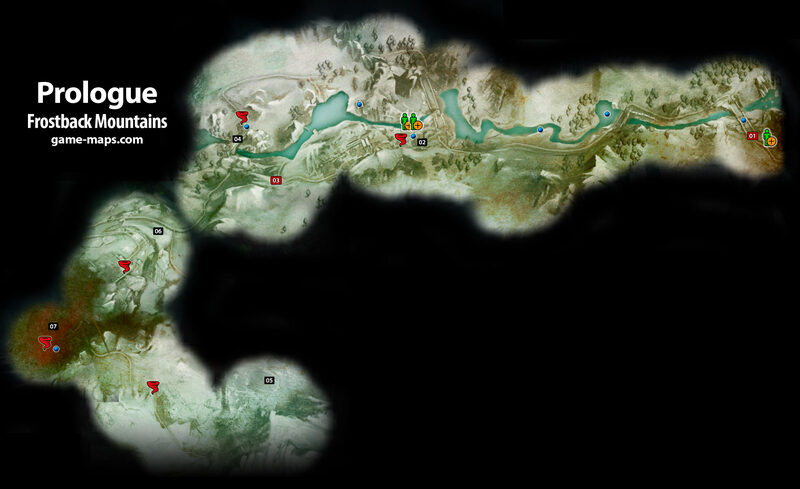 Frostback Mountains Prologue - Dragon Age: Inquisition Walkthrough, Game Guide and Maps, with Quest and Locations of Camps, Merchants, Rifts, Ocularums, Astrarium, Dungeon Entrences, Landmark (POIs), Crafting Station, Mosaic Piece, Inquisition Agent, Secrets, Party Members, Bottle of Thedas and Codex Entry. NPC: Cassandra Pentaghast She will join you automatically. Kill enemy and pick loot. Kill Daemon and seal the rift in the Temple. When you do this you will wake up in Heaven (Frostback Mountains). This is the end of Prologue.